Moreover we are also organise weekly face to face training and sharing session. RSVP is required prior to all sessions. Each week we have a tea time session with filmmakers and production freelancers to share working experiences, ideas for collaboration, and recent movies review. If you don't like tea beer is a great option too! 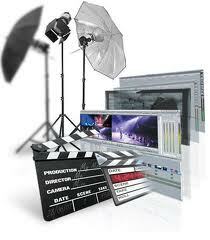 Pre-production is the first step you begin your short film or feature film. A good script can make or break the filmmaker. In our workshop, we will teach you how to write a proper industry script with Celtx software (FREE) and protect your copyright.